Shin Bet arrests 3 Hevron-area Arab youths who took part in stone-throwing attacks on Jewish vehicles passing near Kiryat Arba. The Shin Bet captured three Palestinian Arab youths, about 17 years of age, from the village of Sa’ir in the Hevron area suspected of involvement in throwing stones about a month and a half ago at Israeli vehicles traveling on Route 60 south of Jerusalem between Kiryat Arba and Karmei Tzur. 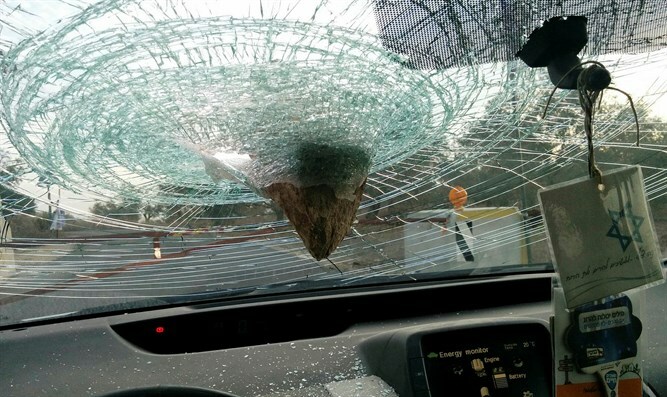 As a result of the stone-throwing, a nine-month-old baby was lightly injured and several vehicles were damaged. During their interrogation by the Shin Bet, it was revealed that the suspects had taken part in the stone-throwing from which the infant was injured. An indictment against them will be filed soon.